Fixed dental bridges and removable dentures have been considered as the conventional replacement devices for empty spaces in your mouth. Removable artificial teeth have always been disliked by the majority owing to their drawback of falling out of the mouth during speaking, eating and laughing. This prosthesis needs constant care and the necessity to remove and place these in water before sleeping. On the other hand, fixed dental bridges need to sacrifice healthy natural tooth structure from adjacent teeth for support and stability. Dental implants are free of these side effects and gain popularity in very little time period. Titanium material has been always the gold standard for manufacturing dental implants due to its tissue friendly nature with your gums and jaw bones. Recently, Dental Implants Albuquerque have gained popularity among expert dental implant specialists.Your own 24 hours emergency cosmetic & restorative dentist Dr William C Gardner. He is available at NM Family and Cosmetic Dentistry PC. He has got the skill, expertise and equipment for the provision of zirconium dental implants. Q. WHY ZIRCOIUN DENTAL IMPLANTS CAN BE SUPERIOR OVER TITANIUM DENTAL IMPLANTS? A. Titanium dental implants have been considered a highly tissue friendly and safe replacement option for lost natural teeth. 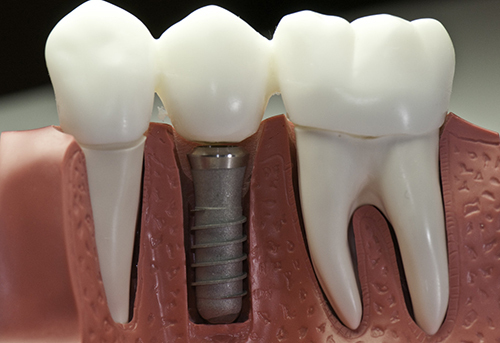 There is no specific allergic reactions with titanium dental implants so far. However, people often develop allergy and hypersensitivity to metals such as Nickel allergy is quite common. Zirconium dental implants present the only metal free option in the field of implant dentistry and this makes it quite a popular option for patients who want to avoid placement of metal devices in their mouth. These are also termed as metal free dental implants. Q. WHAT IS ANOTHER IMPORTANT USE OF ZIRCONIUM IN DENTISTRY? A. Zirconium offers good strength in its oxide form. In addition to zirconium dental implants, zirconium crowns and bridges are also in great demand especially for the replacement of lost front teeth due to its excellent appearance for the restoration of smile and facial profile. If you have cosmetic defects in your teeth making your smile less pleasant owing to decayed, missing, crowded, crooked, mal-aligned or mal-posed teeth, you can visit your 24 hours emergency Albuquerque New Mexico dentist Dr William C Gardner at NM Family and Cosmetic Dentistry PC who is available throughout day and night and focuses upon best solution for improving your dental and oral health conditions.